Call direct on 02392 359973 or Email at support@etchwork.com and we’ll happily answer any question you may have. Except possibly ‘Can you cry underwater?’ We aim to get back to you within one working day. How can I customise my device or case? There are many ways you can customise a case on our website. It all depends how you want to go about it. Choose from our exclusive artist series Artwork, create your own masterpiece, or download stock images from any online collection (some may charge). Just upload, and we’ll do the rest. 1. Decide whether you want to etch your own device or cover or purchase a product to be etched from our store. 2. Choose whether you want to select from our Artwork section or create your own design. 3. Pick your device and model. 6. Fly through our checkout process and submit your order. We’ll get cracking on your order right away. 7. Settle back with a beverage. How can I customise my case? Once you’ve chosen the right case for your device, go to the product page and select the option to ‘customise this case’. A window will open up where you can choose to select artwork from our exclusive Artwork series or create your own. The most cost-effective way for most of our customers is to send it in by post or courier. If you choose to send your device in, Etch is not liable for the device until it reaches our premises. Please package your device carefully in the original packaging where possible. If not, we can send special packaging to you that can be selected on checkout. I want to create my own design but I am not a designer or artist, can you help? Don't worry if you're not a designer or artist or don't have sophisticated software, there’s an option for everyone. Unfortunately, we do not offer a design service except for large orders. Have a look for stock vector images online (some may charge) and upload a high-quality image at least 300dpi in black and white and we'll do the rest for you. Just make sure you artwork is one of the following formats: .AI, PDF, JPEG, PNG. I am interested in a bulk order with customised artwork for a business. Can you help with the artwork design? Yes, for larger orders we can help manage your project from concept to delivery and that includes artwork commissioning. The invisibleSHIELD - ZAGG's customised, patented flagship product, is tough. Created from a resilient film that was first used to protect US military helicopter blades from high-speed damage, the invisibleSHIELD is your personal electronics defender. This rugged film wraps around consumer electronics and keeps them functioning and looking great, just like the day they came out of the box. Featuring ZAGG's exclusive Nano-Memory technology, the invisibleSHIELD has unique properties that provide self-healing qualities and unrivalled abrasion resistance. It’s custom-designed for devices with ZAGG's Lifetime Replacement Guarantee. Please also see our Shipping Policy here. Please also see our Returns Policy here. We try to keep all items we list on our website in stock at all times. However, if we have a high demand for our bamboo cases at a particular time, we might get a little behind on production. All other products are dependent on our suppliers – so, if they’re having a bad day, there’s not much we can do. If any item is out of stock, we will email you to let you know. We accept all Visa and Mastercard payments through our secure certified website. If you’ve no access to the internet, we can accept payment over the phone. Business orders can be made by direct bank transfer. Why do we use bamboo to manufacture our cases? Well, it looks sizzling and is light and strong. It’s also one of the fastest growing plants (it’s actually a grass) on Earth. Plus, unlike trees, when it’s cut down it regrows. This makes it environmental as anything. What can I etch on my device or case through the Create section? Anything, as long as it does not breach trademark or copyright laws. So any corporate branding or logo, creative artwork or similar cannot be etched without written permission (we will ask for evidence). When ordering from our website you form an agreement with us (please read our Terms and Conditions) to say that we are not held liable for any breach in trademark or copyright law. Can Etch fulfil bulk custom design orders? Yes, of course we can. Just get in touch if you wish to discuss the order first. If not, you can change the quantity of any item before checkout. If you’re interested in orders above ten items, then e-mail us for available discounts. It’s the perfect companion for your iPad 1. The ZAGGmate for iPad 1 is made from aluminium with a high-grade finish, matching the design, look and feel of the iPad. It’s simple yet innovative hinge provides multiple angles for viewing and typing in both portrait and landscape mode. A built-in physical keyboard allows for fast, responsive typing. It has a sleek, eye-catching design that gives your device durable protection, added functionality and style. You'll wonder how you ever used your iPad 1 without one. Our prices include all packaging, handling and postage costs within the UK. If you have placed an order from Europe, an extra £5 will be added to each item in your order automatically on checkout to cover the extra cost. I think I have received the wrong product? If you believe you have received the wrong product by no fault of your own then please email us at support@etchwork.com and we will contact you as soon as possible and resolve the issue. To make it as simple as possible our prices are based on product catergory rather than the individual brand and model of a device. We understand that some of you can’t be without your precious device for more than a minute or find the thought of sending it to us a little daunting so you can use our ‘Drop in’ service at no extra cost. However if you live in the North you may find the drive a little far so you can use our ‘Send in’ service that costs a touch more but gives you piece of mind with fully insured next day delivery. How much will it cost to Etch a case? Just like Etching a device our prices are based on product catergory rather than the individual case. The following costs are added to the product price seen in the Store. Delivery is free on all cases within the UK; an additional £5 will be added at checkout for European orders. You’ll find us on the sunny south coast in Portsmouth. Just before you reach the ships. Once submitted, it’s unlikely we can cancel your order as we start work on it lickety-split. So please get in touch as soon as possible and we’ll see if your order has already been processed and dispatched. If we can catch it in time, we’ll happily change or cancel it. If not, we can arrange a return. Will you make bamboo cases for other devices anytime soon? We want to develop and make cases for other popular devices and will keep you informed as we do. Subscribe to our newsletter and follow us on our social media pages for updates. Due to the time it takes to develop new cases, we can’t guarantee when we will launch new products. Can you produce different finishes when etching devices and products? No, it completely depends on the artwork and material being etched. I want to get my device etched but it is not listed on your website, can it be done? Yes, we are happy to etch any device (as long as it is made from a suitable material) and we are constantly expanding our offerings and updating our website. Get in touch and let us know what your device is and we can go from there. If we have not etched that specific device before, we may have to run a test first. Please note that not many plastics can be etched as they simply melt or burn. Ideally, it should be vector-based artwork but, if not, it should be at least 300dpi in black and white and one of the following formats: .AI, PDF, JPEG, PNG. Can I make changes to my Custom order once placed? Once submitted, it’s unlikely we can make any changes due to the fact we normally get to work on your order very quickly. If you get in touch as soon as possible after you have placed the order, we’ll see if your order is already being processed or not. What do I do if I have a warranty issue with my Zagg product? 2. Register your ZAGG products: please click ‘Product Registration’, select your product from the drop-down menu, and click ‘Register’. 3. Locate the order you need a replacement from on the ‘View Your Order History and Get Warranty Replacements’ page and click ‘replace’. 4. Click the ‘Replace’ button next to the product. 5. Follow the prompts from there. What kind of packaging do you deliver your cases in? All our bamboo cases come in our own 100% recycled, 100% cardboard packaging. This is slipped into a protective postage bag to protect it from the elements. What happens if my case doesn’t fit properly? We’ll be upset but we will resolve the problem. All our cases are tested by physically fitting them to a device. However, the case can be affected by temperature or other external factors in transit, so could change shape very slightly. Firstly, let the case rest unpackaged at room temperature overnight and, if it still doesn’t fit, get in touch and we will organise a replacement. It’s best to email us. It’s noisier than a sawmill here and hard to talk on the phone. We can also spend more time working on your orders, rather than chatting about the rain, and keeping our turnaround time as low as possible. Can I add to an order I’ve already placed? What type of bamboo are your cases made from? All our bamboo cases are made entirely from Moso bamboo. And arty passion. How do different materials etch? We can only change the depth of etching on some materials and you’ll have to trust that we know what works best. •	Chrome finished products such as iPod touch’s and other metals likes stainless steel cannot be laser etched but instead laser-marked, which produces pure black artwork on the chrome or metal. •	Plastic cases don’t etch well, as the only plastics that can be etched, generally aren’t used in the manufacturing of electronic devices. •	Anodised devices such as iPads, Kindles and coloured iPod shuffles produce good results. The laser goes through the anodised coating and reveals the shiny metal below. •	Leather etching looks nice. When etched, the laser burns through the shiny top surface revealing the natural matt finish underneath. Most types of leather can be etched. All types of genuine leather are pretty much guaranteed. However, synthetic leathers can contain non-organic materials that can melt. •	Bamboo and wood are our favourite materials to etch and produce some of the best results. We love working with bamboo, as it produces great variations of colour and texture. As bamboo and wood are organic and very varied due to the way the materials grow, the results are unique each time. Unlike metal engraving and marking, when engraving bamboo or wood, the depth of engraving can vary. •	Glass, found mostly on iPhone 4/4S, also produces great results against the black finish underneath the glass. When etched, it also creates depth to the artwork. When the laser beam hits the surface of the glass, the surface is heated and fine glass particles are blasted off leaving a crisp frosted effect. Check out our photo Gallery if you are still not sure. I want to create my own design, but how will I know it will fit my device or case? If you are handy on a computer and have the right software then download the appropriate template here. Alternatively just measure your device and make the artwork a little bigger than those dimensions. If you don’t have the right software then upload you design and we’ll send you a proof before proceeding. How do I register my Zagg product? Do you send an email when my order is dispatched? No, we don’t. Instead of spending lots of time telling you what we’re doing, we just get on and do it and get your product out of the door as quickly as possible - usually the same day, depending on when the order was placed. You will receive a confirmation email with the invoice when you place your order. My design isn’t how I wanted it on my custom case. What do I do? First things first, get in touch and let us know what you think is wrong with your design. If we’ve made a mistake, we will obviously resolve it at no extra cost to you. Please also have a quick read over our Returns Policy. Do you have a cut-off time for orders to be processed the same day? Yes, all orders placed after 12pm will be processed the next working day. Orders placed after 12pm on Friday and over the weekend will be processed on Monday. How are your bamboo cases made? All our cases begin life as happy shoots of Moso bamboo in China. Once they’re removed (painlessly), they’re then cut to size and laminated with alternating grain to help minimise warping. These solid bamboo blocks are then precision-shaped by a very clever machine with a feel for perfection (a CNC machine). It carves its way through the bamboo block to perfectly match the contours of your device. After being cut to perfection, the bamboo is then tickled with sandpaper and finished by hand with a massage of oil. (Lucky bamboo.) Finally, the cases are tricked out with their very own felt lining before being boxed and sent out. It takes a while, but the results are worth it. And it’s like a little spa day for the bamboo. Can I drop a device to you and get it etched in the same day if I don’t wish to send it in? Yes. Go to the Create section or Artwork section of our website and place your order. About halfway through the process you are given the option to send in your device or use our drop-in service. Select drop-in service and you can then select a day and time to drop your device to us. We can then have it done for you within the hour. Can I use a company logo, icon or other branding owned by another company? Yes, you can as long as you have the rights to use it (we will require written proof), otherwise we might get in trouble and we don’t want that. My order arrived damaged or broken. What should I do? Get in touch with us as soon as possible and we will sort it out with the delivery company. Please forward a picture of the damage and description before sending it back to us. We will cover your return postage cost (so keep proof) and send you another item. How often do you send out your newsletter and what’s in it? We don’t send more than one newsletter a month unless we have an important announcement to make. The newsletter will include updates on new products, services, artists, competitions and the website. How do I know I am buying securely from your website? 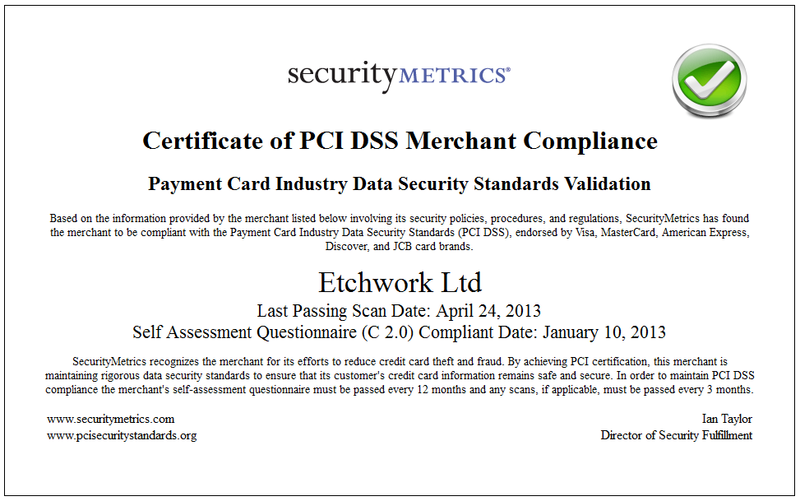 Our website is hosted on a secure, dedicated server that is PCI DSS-compliant (view our certificate here). That’s Fort-Knox safe. What devices do you make bamboo cases for? Currently, we make our bamboo cases for the iPhone 4/S, the iPad 2 and the new iPad (iPad 3). We’re constantly developing new cases and ideas and we hope to launch some new cases very soon. To keep up to date with our products, sign up to our newsletter or follow us on our social media pages. I don’t live in the UK – can I get my device etched? Unfortunately not. Due to the logistics involved, it would be very costly and you would be waiting some time for your device to come back to you. I can’t find a design template for my device. As much as we’d like to provide a design template for every device, we simply don’t have the time (there are a lot of devices out there) but as long as you upload the artwork in the right format, we’ll send you a proof before we proceed. A good way to start is just measure your device and make the artwork a little bigger than those dimensions. No, unfortunately we only ship to the UK and Europe at present. What days is your drop-in service available? We’re open every day except Wednesday and Sunday.